While iOS 11 is still a work in progress and rests in the beta phase, iOS 10.3.2 is the latest stable build available to users at this point. 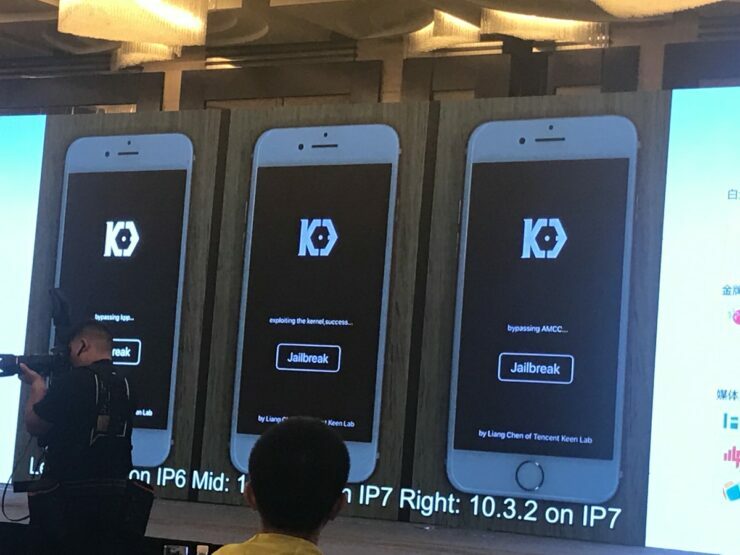 However, a team of security researchers, KeenLab has demoed a working jailbreak prototype for both of the aforesaid firmware. The jailbreak runs on most of Apple’s latest handsets. This is huge for anyone interested in the future prospects of jailbreak. So let’s dive in to see some more details on the subject. Security researcher, Min Zheng shared the photographs from the jailbreak demo on Friday. 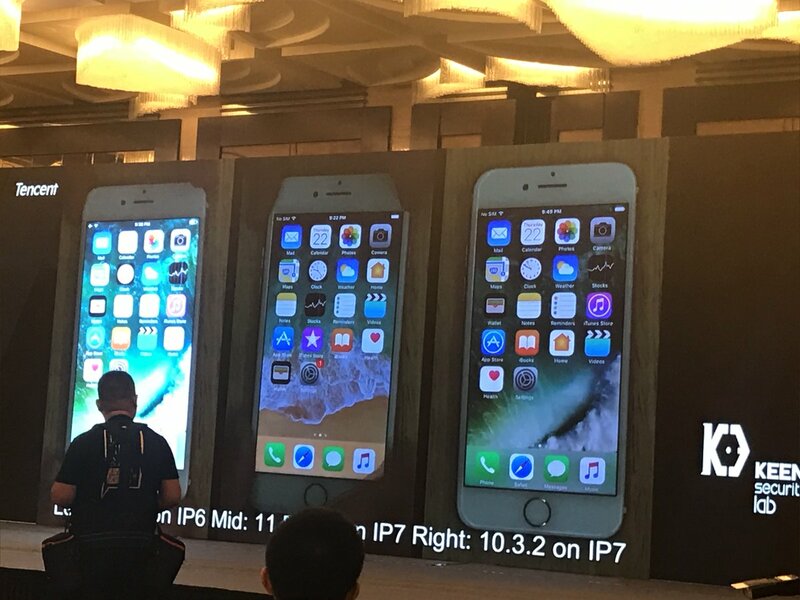 As can be seen in the photograph shared below, the demo showcased three different iPhone models: iPhone 6 Plus running iOS 10.3.2, the iPhone 7 running iOS 11 beta and at the most right, the iPhone 7 again running iOS 10.3.2. We can see Cydia running on each of the three different iPhone models. There have been no recent jailbreaks released after Luca Tpdesco’s departure from the jailbreak community. He developed the Yalu jailbreak for iOS 10-10.2 and no further jailbreak updates have been released for the recent iOS updates. 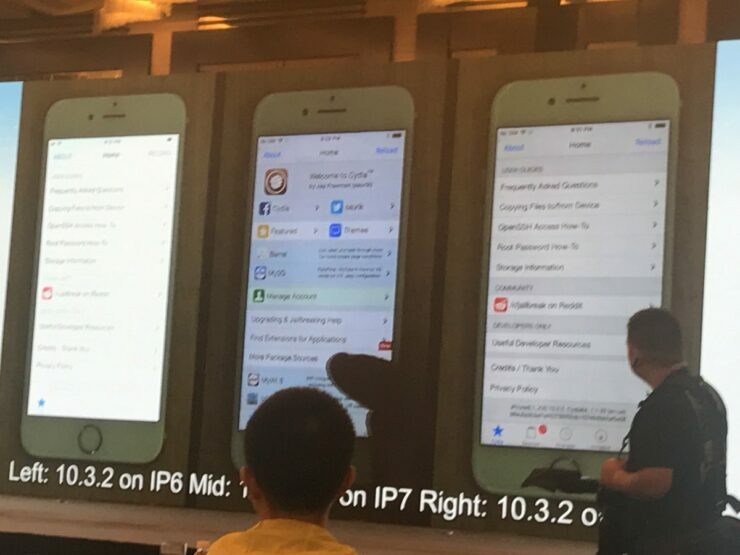 KeenLab’s demo of the new jailbreak is the first one for iOS 11. This means that iOS 11 jailbreak is not impossible to achieve and probably work is in progress. As it seems, KeenLab ran a side loaded app installed through Cydia Impactor, which means that it could possibly be a semi-untethered jailbreak. iOS 11 on its own carries a boatload of features some of which are more or less derived from jailbreak tweaks. At this point in time, there are no concrete details for when it might be available to the general public. Moreover, we also have no clue whether KeenLab is interested to release the jailbreak to the public. As we have mentioned earlier, iOS 11 is currently in the beta phase and will be released sometime in September of this year alongside the company’s announcement of the much hyped iPhone 8. Apple has also seen fit to release the second beta of iOS 11 that features Indoor Maps support for shopping malls and airports. There are numerous other features waiting to be explored, so we will keep you guys updated on that. As for now, we’re glad to hear news on a jailbreak after a long time, even though it’s just a demo. This is it for now, folks. What are your thoughts on the iOS 10.3.2 and iOS 11 beta jailbreak demoed by KeenLab? Share your views in the comments.